Bede Financial Group supports several local community organisations and events including sports clubs. Being situated in Marske by the Sea, Bede actively support and promote Marske United Football Club and Marske Cricket Club. John McVeigh, being a proud Yorkshireman, also supports the Batley Bulldogs rugby league team too. The Bede Financial Group continue their support of the Batley Bulldogs Rugby League Club for the 2018 Betfred Championship season. The Bede Logo can be clearly identified on the clubs playing shirts. The Batley Bulldogs play in the Betfred Championship League, and have aspirations to be playing in the sports top tier Super League competition. 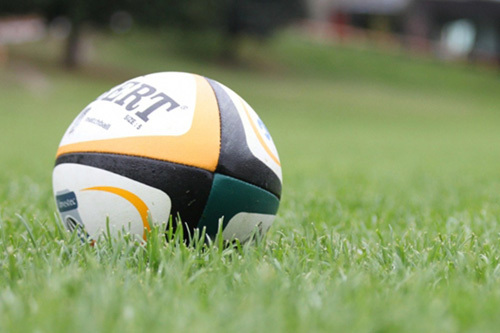 In the 2017 season they finished in a very creditable sixth position in the Rugby League Championship League. The Bulldogs will be aiming to emulate that feat in the 2018 season, under the stewardship of head coach Matt Disken. 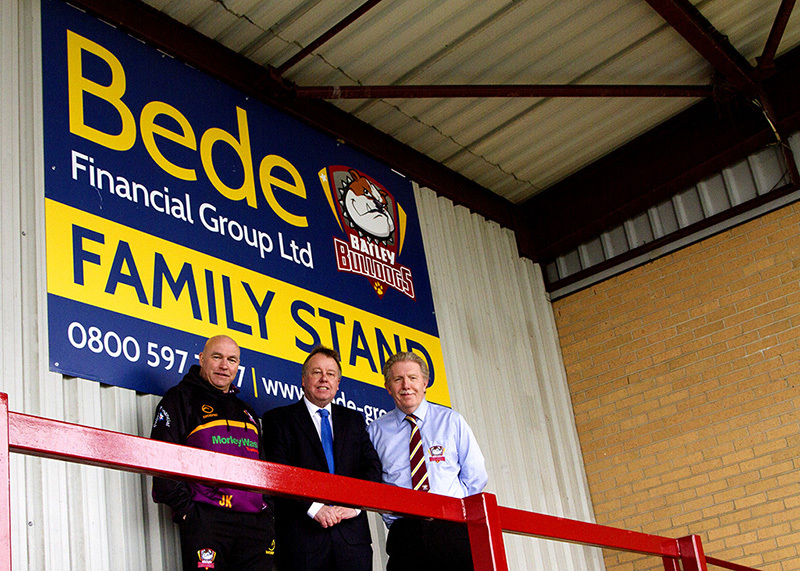 Bede Financial Group have sponsored the clubs family stand for the 2018 season. The stand known as the Bede Financial Group Family stand. The stand was officially opened by the Batley Bulldogs and Wales International Rugby League coach, and TV Pundit Mr John Kear. Left to Right : John Kear, John McVeigh, and Batley Bulldogs Chairman Kevin Nicholas. John McVeigh with Batley Bulldogs Chairman Kevin Nicholas. The Bede Financial Group are once again proud to be one of the sponsors of their local football club. Marske United AFC . After the heroics of winning the League Cup in 2014, the Seasiders exceeded all expectations and became Northern League Division 1 Champions in the 2017/18 season gaining promotion to the Evo-Stik North League for the 2018-19 season, for the first time in their history. In 2018 Bede Financial Group will once again be the main club sponsor of the Marske Cricket Club. The Bede Financial Group were integral in bringing back County Cricket to Windy Hill Lane Marske once again. On the 30th July 2018 Marske Cricket Club will be hosting the Yorkshire County Cricket Club 2nd XI "back to back" T20 Thrash against Worcestershire Cricket Club 2nd XI.